Can the Red Devils be Trusted? On Saturday in the traditional 3PM kick-off slot, Louis van Gaal’s Manchester United will attempt to partially repair their damaged reputation by beating a West Ham side that’s just recorded an impressive 3-1 defeat of Liverpool. Can the Red Devils be trusted? Easily beaten 2-1 by a Swansea side that wasn’t expected to offer much resistance at Old Trafford, thirteen-time Premier League champions Manchester United lost their first competitive game of 2014/15. All in all, new coach van Gaal’s losing debut illustrated that he had a lot of work to do, with glaring gaps left in the defence and little offensive threat in the final third. Taking all three points at Sunderland’s Stadium of Light is no easy task for most teams, but Manchester United should still have been able to win there, as they have done in the past. Instead, van Gaal’s Red Devils put in another limp performance to draw 1-1. Of course, beating a promoted team by a high margin at home doesn’t mean a team’s back in form – it was just papering the cracks, if you like – and this was evident in Manchester United’s next game away to Leicester. They initially held a promising 3-1 lead, only to lose 5-3 by the end of the match. So what’s going wrong at Manchester United? In assessing why Manchester United have suffered such a poor start to their season, it has to be said that the 3-5-2 formation generally used by van Gaal puts a lot of pressure on an inexperienced three-man defence. This contains a player dubbed Argentina’s weakest link in the World Cup – Marcos Rojo – an untested youth product in Tyler Blackett, a perennial underperformer in Rafael, and Chris Smalling – someone who has yet to justify his expensive price tag and has only just recovered from injury. Danny Blind joined the club from Ajax and should prove to be one of the best of the bunch along with Luke Shaw, but it’ll take a while for this ‘any three from six’ group of defenders to learn the manager’s tactics and get used to playing with each other. 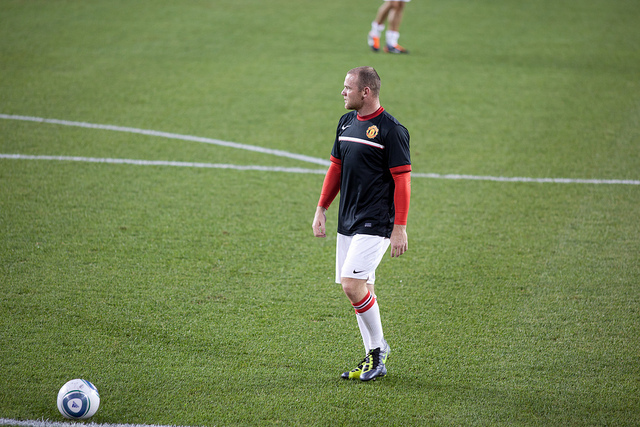 With previous captain and long serving defender Rio Ferdinand now a QPR player, van Gaal handed Wayne Rooney the armband, which hasn’t looked like a sensible choice thus far. Indeed, considering that the inconsistent England forward has threatened to leave the club several times in the past, has never lived up to his early promise as a world-beater on the pitch and has also been involved in several controversial incidents off it, we can only assume that Rooney was appointed captain in the hope it’ll help him achieve greater maturity and develop as a leader. Of course, Rooney has criticised fans for complaining about his sub-par performances in the past, and doesn’t seem to have learned from that since being made captain. He recently lambasted Manchester United’s defenders, in public, for their performance against Leicester. Now, given that Mr Rooney didn’t score in that game and has only recorded a tally of two goals in five games so far, one could argue that’s he’s not doing his own job, as forward, to the expected level, therefore setting a poor example on the pitch. Otherwise, the long-standing fear factor of playing Man Utd has gone, with teams no longer mentally beaten before the game starts and not worried that the Red Devils can turn any score around through late comebacks. Quite clearly, Man Utd are in a transitional period, and opponents know that they can be exploited and beaten as a result. Can Man Utd finish in the top 4? To keep his job, van Gaal more than likely needs to lead his troops into the 2015/16 Champions League by finishing in the Premier League’s top four. Of course, that is possible with 33 games left to play this season, but the current odds-on price of 4/5 about that happening offers no value at all. Man Utd should improve as the season progresses, but then again, people thought that when David Moyes was in charge, and they didn’t even qualify for the Europa League in the end. Di Maria and Falcao are, however, better offensive players compared to Nani and Welbeck, so the Trafford based club now have a greater chance of qualifying for Europe’s most prestigious competition. They’re going to have to consistently win with scores like 3-2 and 4-3 until their defence improves, however, and that could take a few months. Within those few months, someone like Everton or Tottenham – who are currently priced around 10/1 and 9/1 respectively to finish in the top four – could have a big head start on van Gaal’s boys, and backing either now with a view to laying at such a point seems smartest. All in all, things could worsen for Manchester United when they host West Ham on Saturday and, as such, there are a couple of bets worth looking at. 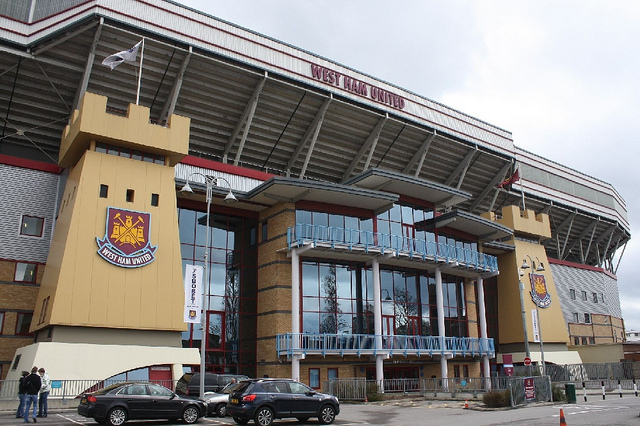 Hosts Man Utd are priced around 4/11 with most bookmakers, the draw is 9/2 and West Ham are offered at 8/1. 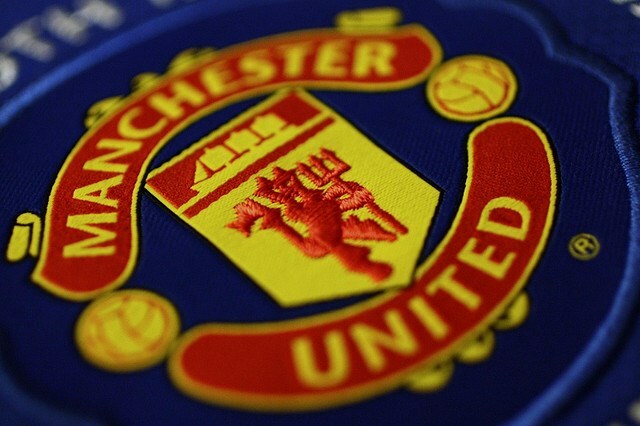 Sure, Manchester United need to win comfortably and put in an impressive performance in front of their frustrated home faithful – and with players like Di Maria and Falcao they’re certainly capable of it – but given current form and the short 4/11 win price on offer, you’d be considered crazy to bet on them. Instead, there are two sensible angles to consider when betting on Manchester United games at present. Firstly, and including their 4-0 cup defeat to MK Dons, at least three goals were scored in four of the Red Devils’ six games, so over 2.5 goals is a relatively sound bet. Secondly, van Gaal’s boys have only won one of those six games, so betting on their opponents to win or draw has also proved a profitable move. Indeed, it actually has a greater consistency than the over goals. With four out of West Ham’s six games containing three goals or more too, over 2.5 goals really does look like the best bet. However, at an industry best price of 11/20, it offers no value. So that leaves the option of backing the double chance of West Ham or draw as our selection at 12/5. Finally, if you’d like to be a little more cautious and still yield profit should Manchester United win by a one-goal margin, or just want to try and cover the above bet in such an eventuality, why not give the Hammers a 1.5 goal start on the Asian handicap at even money? Visit London’s waterside venues for spectacular views, incredible drinks and the chance to check out a super yacht or two. Take your evening antics water-side and enjoy a view of the River Thames with your favourite tipple. Whether you fancy unique cocktails, a view of the capital’s skyline or just post-work drinks, head for the docks! Jaw-dropping views? Check. Gorgeous venue? Check. Incredible drinks? Double-check. The Attic is a luxury champagne and cocktail bar on the 48th floor of the Pan Peninsula hotel in London’s Docklands, and is the kind of place that you should take someone you really want to impress. During the day, it’s a quiet retreat for casual meetings. 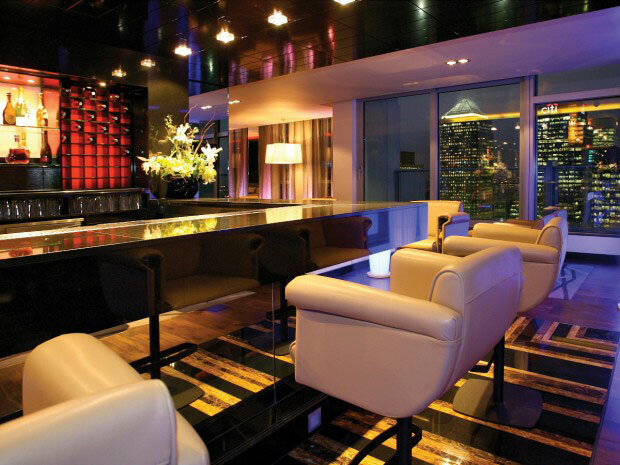 The stunning decor is complemented by 360-degree panoramic views of Canary Wharf, making it the perfect place to spend an entire night. This hidden gem can be found tucked away at The Tower Hotel and is an ideal drinking den if you’re heading to the O2 or the Excel Centre for an event. 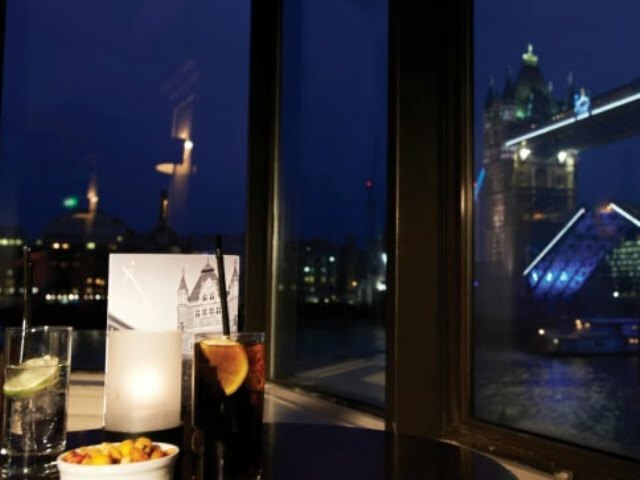 With a gorgeous backdrop of the River Thames and Tower Bridge, indulge with one of the special Xi Martinis – try the ginger version if you fancy something a bit different – or tuck into tapas, salads and cold nibbles from the extensive bar menu. 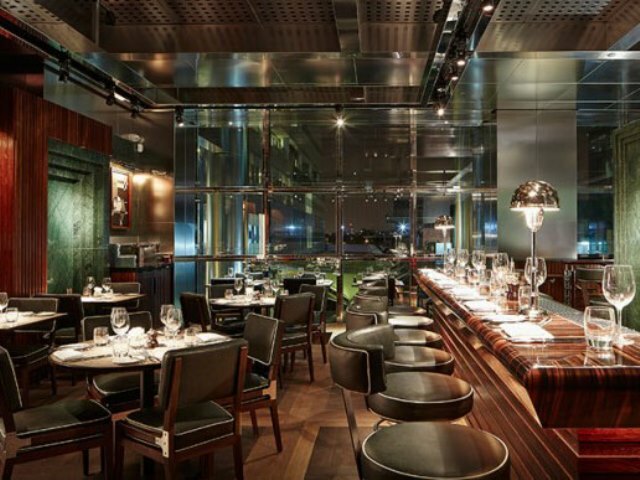 The owners of One Canada Square are the same people behind Sloane Square venue, The Botanist, so you know that you won’t be disappointed. 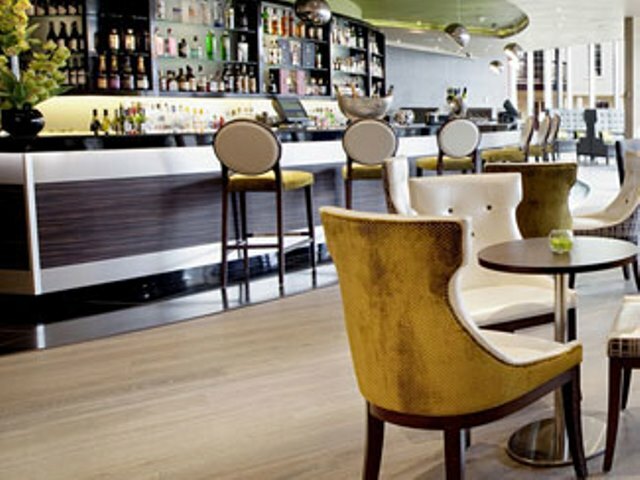 Located in the lobby of No 1 Canada Square, it’s a great place to drop in for a glass of wine after work – their long wine list provides plenty of options. On Friday nights, a limited selection of cocktails are available for only £6, while Saturday visitors should opt for the infamous Bottomless brunch; £40 for three courses including unlimited Prosecco and wine! If you’re going to be dropping anchor in Chelsea Harbour, you should probably make a reservation at The Harbour Bar. During the daytime it’s a great spot for afternoon tea, but by night, it’s much more intimate and cosy. Pop champagne with a mate or date in plush, candlelit surroundings and make the most of the stunning views overlooking the marina. It’s a bold statement, but I’m going to make it anyway: the Ryder Cup is the greatest sporting event on the planet. I know that’s what you’re thinking… What about the Olympics? Too much going on at once; too tainted by cheats. OK, the World Cup, then? Too many nondescript games; too drawn out. The Super Bowl – what a one-off spectacle that is? Nope. I’m not for swaying here. Incontrovertibly, it has to be golf’s chef-d’oeuvre that tops the lot. For starters, the world’s finest play in it for free. How often can we say that in a professional sport? That’s correct. Not a penny of prize money will be on offer at Gleneagles when the 40th Ryder Cup tees off in Perthshire on Friday morning. For the 24 millionaire superstars involved, the pride of representing their continent is ample reason to show up, and play as hard as they humanly can. The event is extraordinarily distinctive too. Golf can be insular. It’s you against the course, with players only ever concentrating on themselves and how they’re performing. Yet in Ryder Cup week, those involved must learn how to become team players. The fear of not letting the side down grips each and every one of them, while the prospect of delivering a heroic point for their pals and their continent, is as addictive and enticing as anything they’re ever likely to experience. Wearing ‘the shirt’ (not just that of their sponsors) isn’t something golfers are accustomed to, and we see certain character traits emerging from the pores of each star name. Take Tiger Woods for example. He’s absent this week through injury, but it’s well known he doesn’t thrive in the environment. Often appearing bemused, rattled, drawn or aloof, being part of a team is an alien concept he struggles to handle. Europe’s Ian Poulter on the other hand, morphs into a fiery sporting dragon that’s driven on by (in his own words) “an absolute and pure hatred to lose.” This determination and thirst for team glory inspires those around him. The Englishman’s phenomenal Ryder Cup win record (80%) obliterates that of 14-time major champion, Woods (44%). The formula is also utterly fantastic. Building to a crescendo with two days of fourballs (where attacking brilliance is rewarded) and foursomes (when fine teamwork comes into play), the singles extravaganza that decides matters on the third and final afternoon is a perfect climax. With every shot counting until the 14½ points mark has been breached, it’s genuine can’t-take-your-eyes-off-the-TV entertainment, irrespective of whether you’re into golf. Those who witnessed 1999’s ‘Battle of Brookline’ or 2012’s ‘Miracle of Medinah’ (or ‘meltdown’, depending on your preference), when the USA and Europe each won 8 ½ points from a possible 12 on a dramatic last day, to pinch the Ryder Cup by a point, would testify to that. Even the publication of each session’s matches delivers a buzz. Selecting the pairs and the order they play in ‘blind’, neither team captain knows who their players will come up against until it’s announced by the organisers. The choices Paul McGinley and Tom Watson make, are likely to have a significant impact on the result. While we’ve seen incredible acts of sportsmanship down the years – best illustrated than when Jack Nicklaus generously conceded a two-foot putt to Tony Jacklin on the final green to guarantee a draw in 1969 – the heated rivalry between Europe and the USA is very real. The sight of US players and their wives joyously bounding across the 17th green in celebration of a 45-foot putt from Justin Leonard in 1999 (while his opponent still had a chance to halve the match) is an iconic moment many refer back to, but even without that unsavoury episode, it’s always been a competition that’s bred animalistic behaviour. The fans kind of ensure it stays that way. With heckling and partisanship encouraged, the golfers don’t encounter an atmosphere like it anywhere else, and this affects them in different ways. Four years ago I was at Celtic Manor in Wales, to taste the Ryder Cup for myself, as a fan, and it remains the most brilliant sporting event I’ve witnessed in the flesh. This competition isn’t about a dozen Europeans and Americans, expertly guiding their 1.6 ounce balls around 7,000 yards of beautiful golfing scenery, in the heart of Scotland. It’s about tension, teamwork, technique, nerve, patriotism, trust, confidence, skill, character, leadership, passion and fist-pumping sporting excellence of the highest degree. 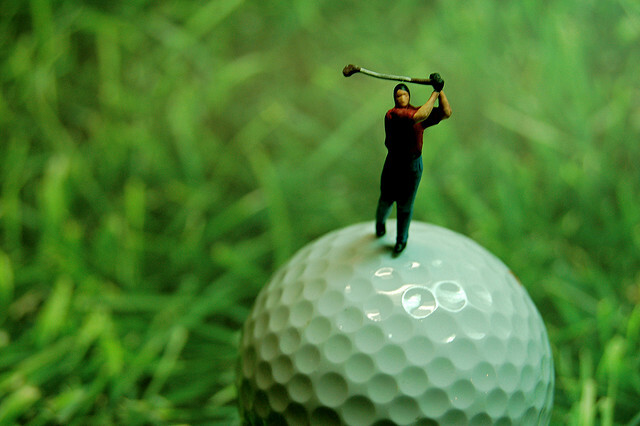 Every drive, every chip, every putt is as intense as a penalty shoot-out. It’s a three-day maelstrom of match play that bares the soul of each individual involved. It’s the ultimate test. If you like your sport pure and full of gladiatorial conflict, then cancel your plans for this weekend immediately. Europe versus USA for the Ryder Cup is something else. In fact, there’s nothing to touch it. It’s been a while, but I actually managed to get knocked out of a tournament this week without winning one pot! Not one little pot, not a walk in the blinds, not even a chop!